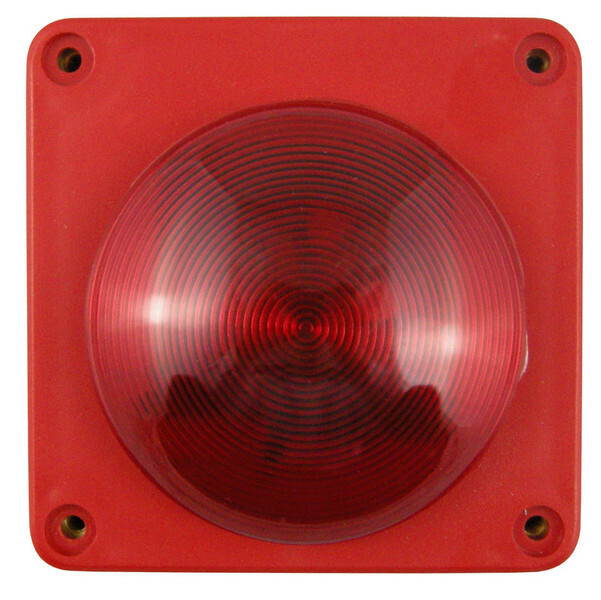 The Twinflex Weatherproof Flashpoint allows a simple and effective visual indication directly from the 2-wire zone. Whilst in alarm the flashpoint synchronisation is uniquely reset every 10 seconds to ensure that the beacon's flash rate remains in absolute synchoricity across the entire system. Visual warning is available in this compact unit that is easy to install. The back box can be fitted at the time of installation with other first fix items - the Flashpoint unit can be simply fitted in later. The Flashpoint is connected to the back-box using simple flying-lead terminations. The weatherproof Flashpoint comes with an adaptable back box of surface installation and is weather proof to IP55.